At the time of writing, over 112,000 website owners use the Genesis Framework as their base WordPress theme. These people come from over 40 countries, and the UK, of course, is one of those countries. 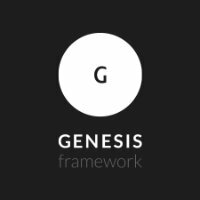 I’m a developer who works a lot with, and on, the Genesis Framework. I’d say I’m known within the Genesis developer community, more-so after I released my first Genesis guide. Many of the leads I get have come from searches that include a reference to “UK”. Yet other than a small handful of people, I don’t know that many UK-based web professionals who only work with Genesis. I’m sure they exist, but I haven’t seen them in the Genesis communities on Twitter, Facebook, Google+ or LinkedIn. There isn’t an existing UK Genesis community. One of those handful who I do know about is Jo, and we’ve started off UK Genesis. At the moment, it is a resource for designers and developers who want to be found because they use Genesis. Once launched, the site will be for clients who want to find a developer or designer because they use Genesis. It may also support the community side, with optional meet ups, and a handy list of people to refer to if a lead warrants it. A few of us are getting together for a meeting at the end of February 2014, which will help shape how this project will go ahead. Some initial suggestions said it could be a directory of profiles. These would show where the professional is, the type of clients they work with and the price-range they work within. This could be a paid listing, so that those who contribute to maintaining the site can justify their voluntary time. There is a separate project to do something similar for the wider UK-based WordPress developers. I’m hoping we can collaborate with them so that we end up with the best of both camps. I’m not aware of any other country-specific communities for Genesis, but if there are, please let me know. If you’d like to find out more or become involved in UK Genesis, then sign-up at ukgenesis.co.uk.